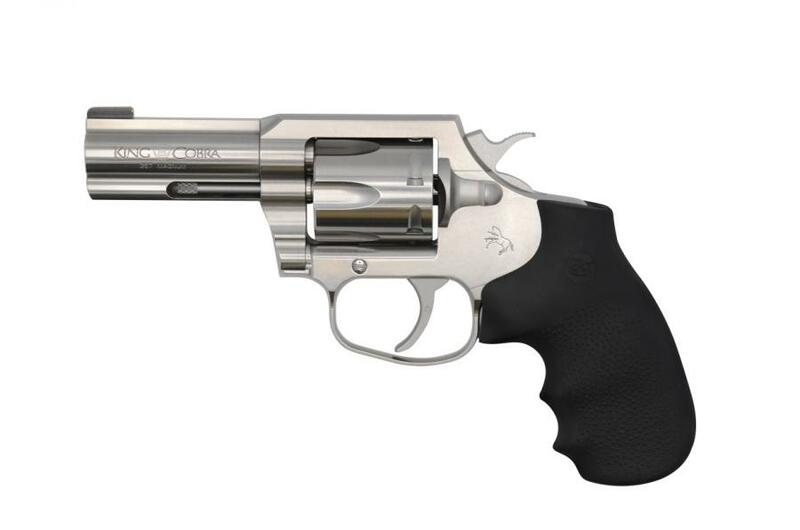 It seems that Colt is getting both feet wet in the DA revolver business once more..First was the Cobra, and now the King Cobra 357. This is something that I'm going to consider getting for carry. Of course, I'll have to be a good boy and promise to eat my spinach. Why? For funsies? I get that. Personal defense? A waste of money that could be put toward skill development and actual understanding. My experience with people who show up to class with revolvers... They soon see the flaw of the platform. If they decide to take a second class it's often with a Glock or M&P. I saw a lot of revolvers traded in on Glocks and M&Ps after people were exposed to practical self defense. Personally, the only thing I had against the original KC was the trigger would take skin off of my finger when I shot it. I have two Lawman MK III's (similar to the KC) and they are strong, solidly built revolvers. Think of the knowledge and know how that could buy. It makes sense that Colt brought back the small revolvers, what with the CCW movement, small handguns are in great demand. The S&W J-frames sell like hotcakes, and there is no reason Colt should miss out on the feeding frenzy. I hope that they don't stop with the small revolvers, though. I'd love to see the Python come back, in 2". 4" and 6". Likewise, I would like to see them come out with some .44 Spl. revolvers, too, both 5 and 6 rounders, in 2", 3", 4" and 6". Of course, that is a lot to hope for, but so far dreaming is free and non-taxable, so I'll indulge in it a bit. Don't look for Colt to restart the Python line anytime soon. They are excellent revolvers, but the cost of so much hand-fitting would be through the roof. The Mk III and Mk V wheelguns are about the same size, as the I-frame (Python, etc) but their cost was also a lot less. Plus, I understand they were somewhat stronger to boot. I understand about the Python, but let me dream, huh? Please don't pee on my cornflakes! Pretty cool gun, not my cup of tea per-se. I used to own a MK3 Trooper and still own a 6" Python in "ultimate" stainless. I wish Colt well with the DA/SA revolvers. It would be nice to see them put together a competition model, again not something I'd be interested in, but there's a lot of guys competing with revolvers for the added challenge. I hope Colt offers it with a 4" barrel. I'm tempted now, but I'd really be tempted were that to happen. That is a pretty gun. I wonder how a .44Spl model would compete with the Ruger? Sorry, Charlie!! Didn't mean to pee in your Wheaties. On the Okie forum I said I'd prefer ramp sights, but a poster there said that the Patridge sight would be better for tritium inserts. I think he has a point.